Travelling along Costa Brava and not least exploring the Emporda where the first people arrived already some 5 centures BC is always a most exciting travel. The true origin of the monastery is not known, which has given rise to speculation and legend; such as its foundation by monks who disembarked in the area with the remains of Saint Peter and other saints, to save them from the Barbarian hordes that invaded the Western Roman Empire. 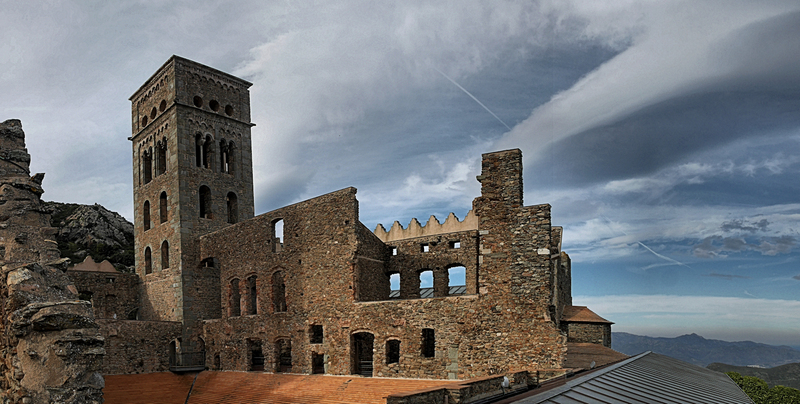 Once the danger had passed the Pope Boniface IV commanded them to construct a monastery. 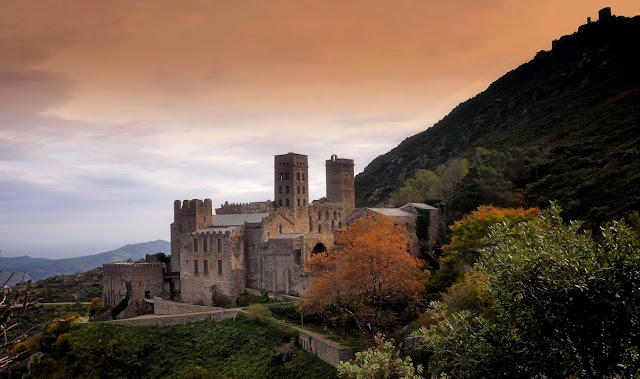 The first documentation of the existence of the monastery dates 878, when it was mentioned as a simple monastery cell consecrated to Saint Peter, but it is not until 945 when an independent Benedictine monastery was founded, led by an abbot. 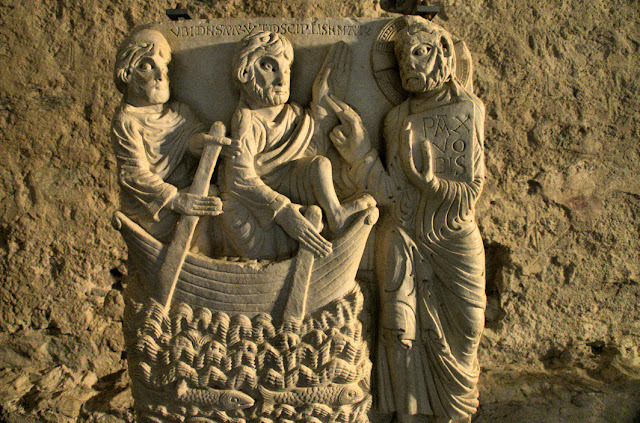 Connected with the County of Empúries, it reached its maximum splendor between the 11th and 12th centuries until its final decay in the 17th century. Its increasing importance is reflected in its status as a point of pilgrimage. In the 17th century it was sacked in several occasions and in 1793 was deserted by the benedictine community, which was transferred to Vila-sacred and finally settled in Figueres in 1809, until it was dissolved. The monastery was declared a national monument in 1930. In 1935 the first restoration work was initiated.